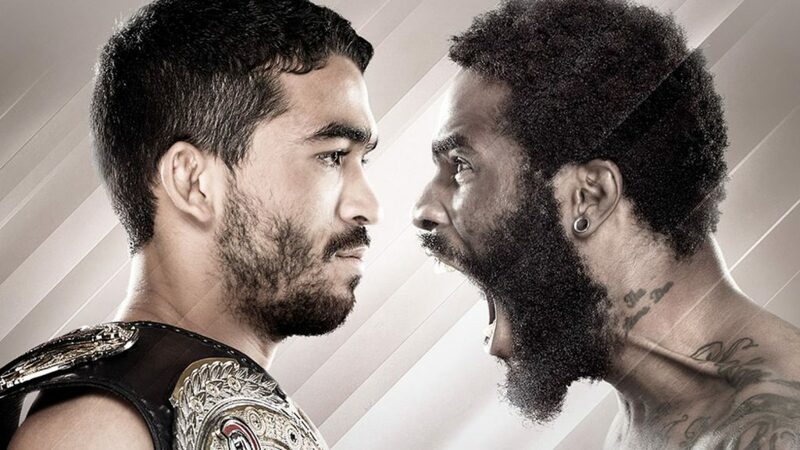 Bellator 132 was a night of rematches at the Pechanga Resort and Casino in Temecula, Calif., as Patricio “Pitbull” Freire and Daniel Straus met for the second time in the main event and for the Bellator featherweight title. Straus lost a unanimous decision to Pitbull in May 2011. This time after many controversial delays due to eye pokes and groin shots, Pitbull would put Straus away with a rear-naked choke. Also Houston Alexander and Virgil Zwicker did battle for a second time. The first time these two light heavyweights came together, the fight was ruled a majority draw. That was in October 2014, the last fight on both men’s records before rematching tonight. Georgi Karakhanyan made short work of Bubba Jenkins with a quick guillotine choke win in the first round. After his fight, Jimmy Smith told him that Bellator President, Scott Coker, just said that Karakhanyan will fight the winner of the Pitbull and Straus fight. With Pitbull winning, he will defend against Karakhanyan at a date to be determined. The biggest news of the night however (although previously released) is that Kimbo Slice has officially signed with Bellator. “I’m still hungry. I gotta get my fill. Whoever steps up to the plate, they better bring it,” Slice said.